Preheat the oven to 425°. Place all ingredients in a medium mixing bowl and toss to evenly coat the cauliflower and onions with oil and seasonings. Transfer to a large rimmed baking sheet and bake for 50 to 60 minutes or until tender and browned, tossing occasionally to evenly roast. Remove and place in a serving dish. 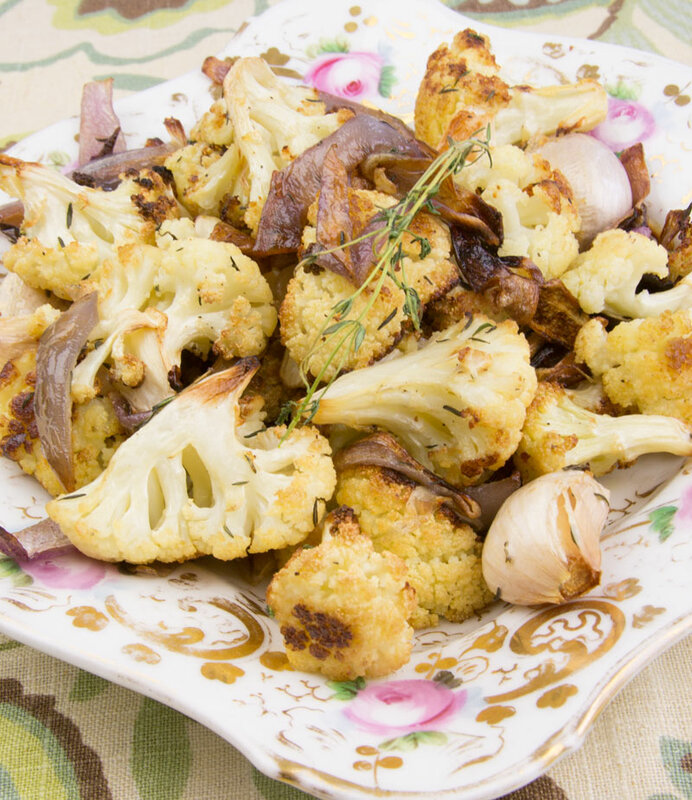 Variation: summer squash, zucchini, winter squash, potatoes, broccoli, turnips, carrots, sweet potatoes, yellow onions, rutabaga, leeks or other vegetables can be roasted in the same manner or some may be combined and roasted with cauliflower. Try different seasonings, as well, like rosemary, basil, oregano, etc. Cooking times may vary depending on thickness or hardness of individual vegetables.